Carrying forward its association with Manchester United Football Club, Apollo Tyres today inaugurated India’s first ‘Go The Distance’ football pitch in Powai, Mumbai. The first such pitch, created using recycled rubber, is just outside the home ground of Manchester United, Old Trafford, in the United Kingdom. 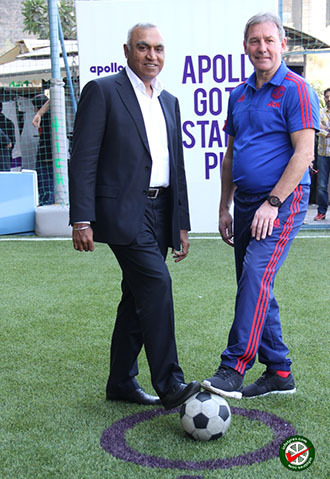 Satish Sharma, President, Asia Pacific, Middle East & Africa (APMEA), Apollo Tyres Ltd and Bryan Robson, the longest serving former captain of Manchester United and Club Ambassador, inaugurated the ‘Go The Distance’ pitch by kicking the football. The Go The Distance pitch is a state – of-the-art surface, which has been created using 100% recycled rubber from company’s own tyres. Roughly 10 tonnes of rubber, which is equivalent of 2200 tyres, has been used. 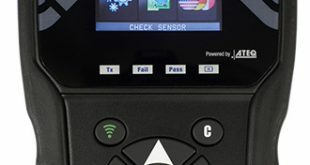 It has been specifically designed around three key challenges incorporating control, agility, and accuracy, which are the key performance aspects for Apollo Tyres’ products. Bryan Robson, former captain of Manchester United, spent some time displaying his football skills to the enthusiastic kids present at the venue. “Go The Distance pitch is a very good platform provided by Apollo Tyres and Manchester United, which will help encourage the next generation of football talent, and allows us to engage further with the local community,” said Bryan Robson during the inauguration. Apollo Tyres has associated with Kick For All Academy for the upkeep and maintenance, and proper utilisation of the Go The Distance pitch.